Der Artikel Sérgio Mendes (geb. 1941): Herb Alpert Presents wurde in den Warenkorb gelegt. + Bob Matthews, Janis Hansen, Jose Soares u.a. Among the many pleasures in the record business is the reward of finding new and exciting talent. One afternoon recently, a friend of mine called to ask if I wanted to hear a new group. From the first note I was grinning like a kid who’d just found a new toy. The group is headed by an amazingly talented piano playing arranger . 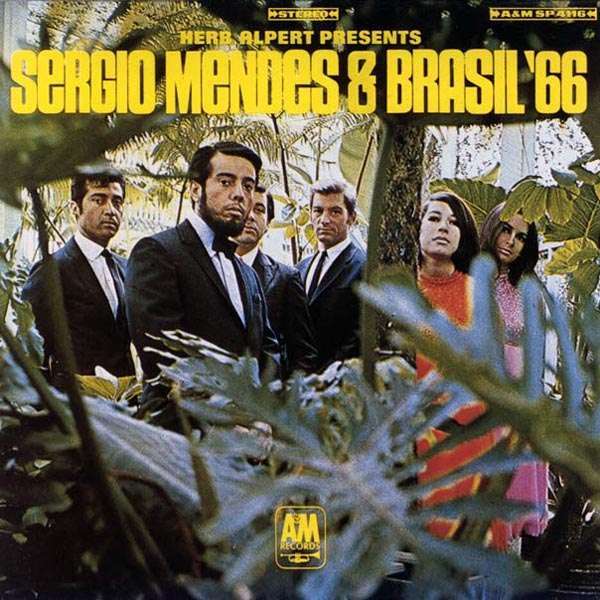 . . Sergio Mendes. Since that time, Sergio and I have become good friends. I know you’ll enjoy them as I do. It is with pride that I present Sergio Mendes & Brasil ’66.